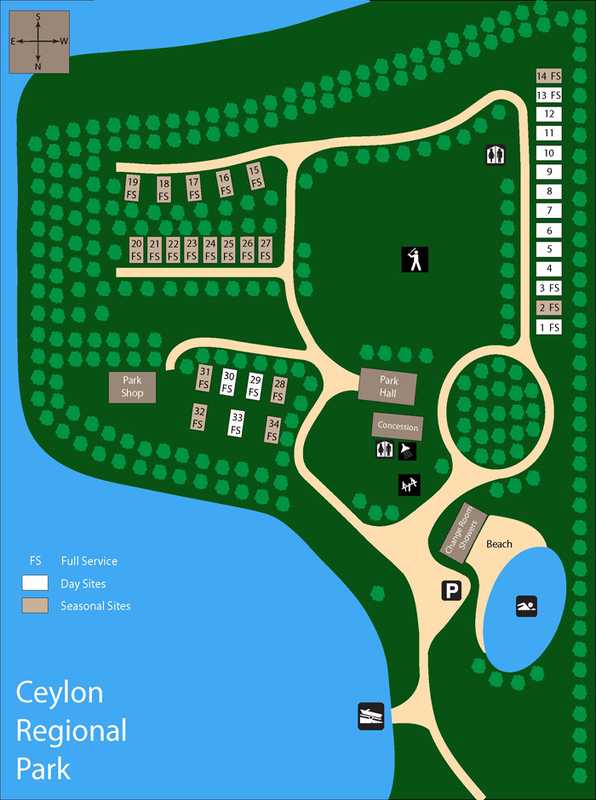 The Ceylon Regional Park is built near a dam and reservoir. 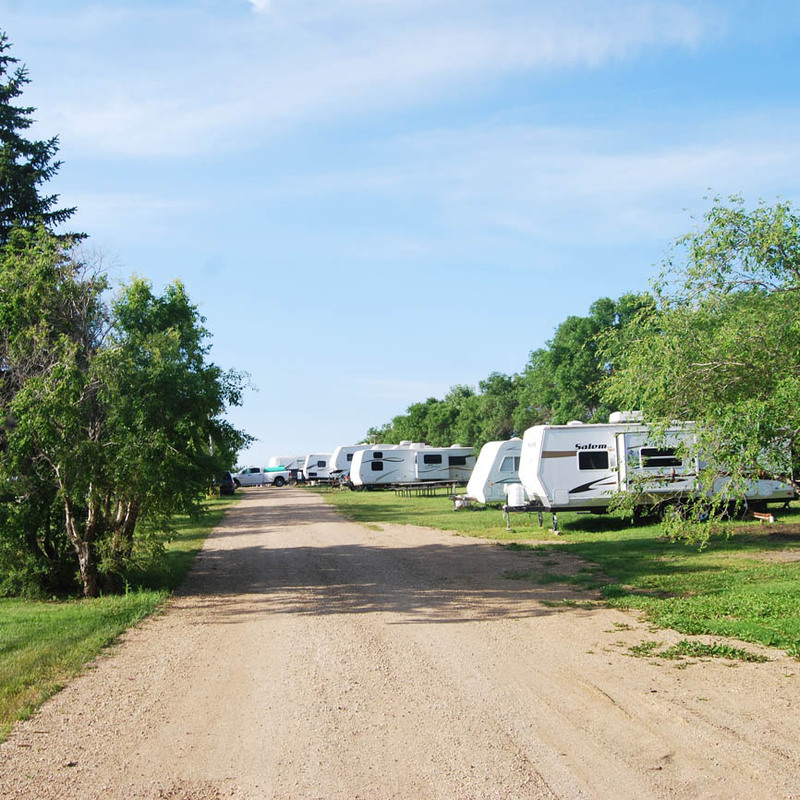 The park is a small well-treed campground with 34 full service sites and non electric sites. The park is officially open from May to September 30th but the season is sometimes extended if weather permits. 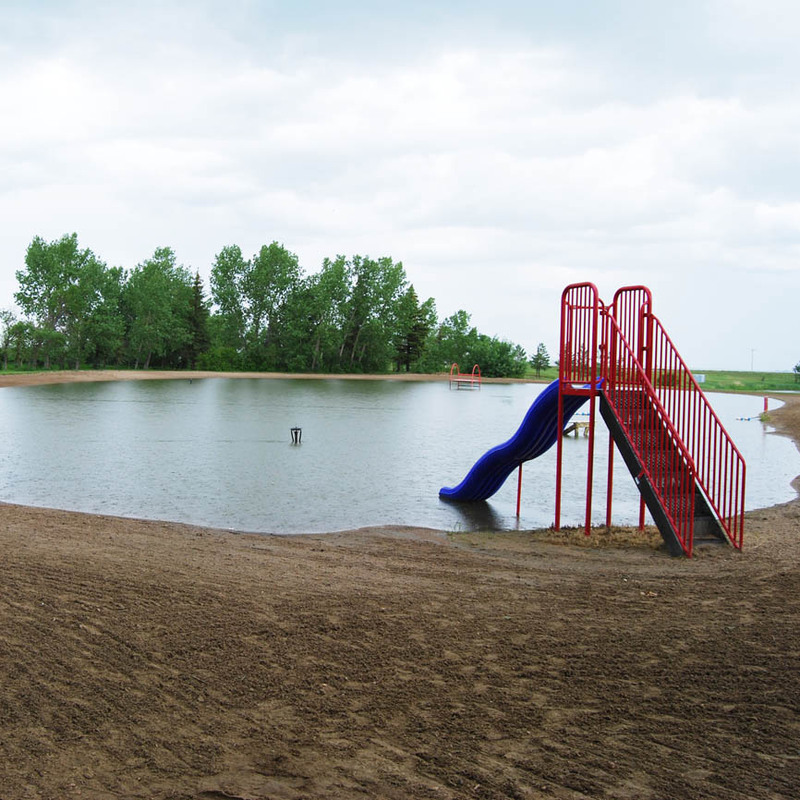 The park has much to offer including an outdoor beach swimming pool, aquatic programs, summer playground program, potable water, ball diamond, horseshoe pits, picnic tables and fire pits at all serviced sites, firewood, fishing, boat launch, new concession booth with new washrooms and showers. The town of Radville provides all the services available in a small town. 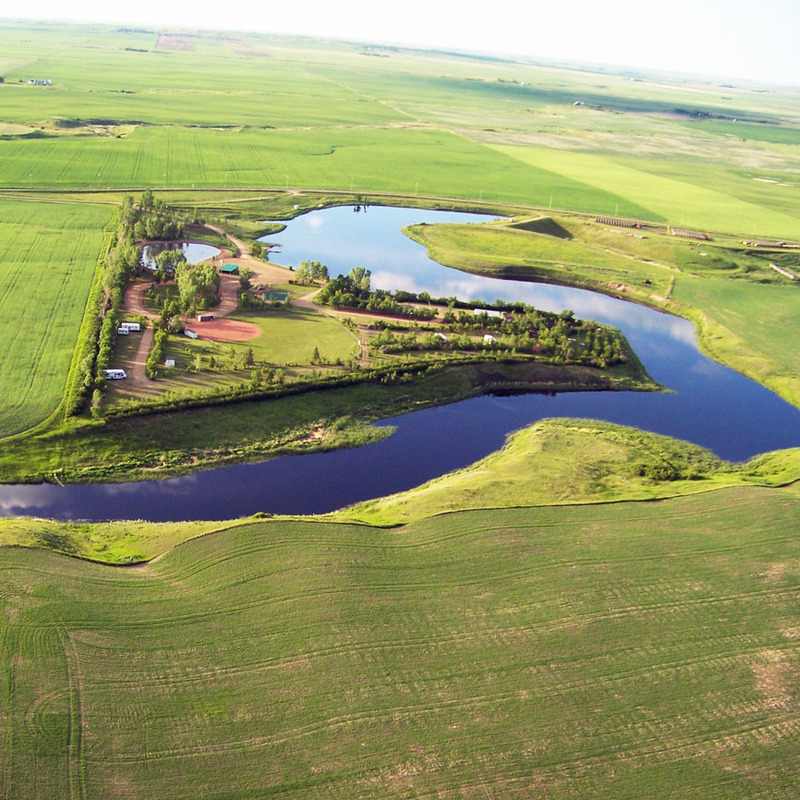 There is shopping, medical clinic, hospital, banks(ATM), RCMP, golf course, groceries and gas stations. The Village of Ceylon has the Ceylon hotel that provides licensed dining, liquor sales and a restaurant. Formerly known as Ceylon Beach - the Ceylon Homemakers, with the help of the entire community originally founded the park. The first regional park authority was formed in 1965. A cairn is located near the edge of the dam, commemorating the reconstruction of the Ceylon Dam in 1984. 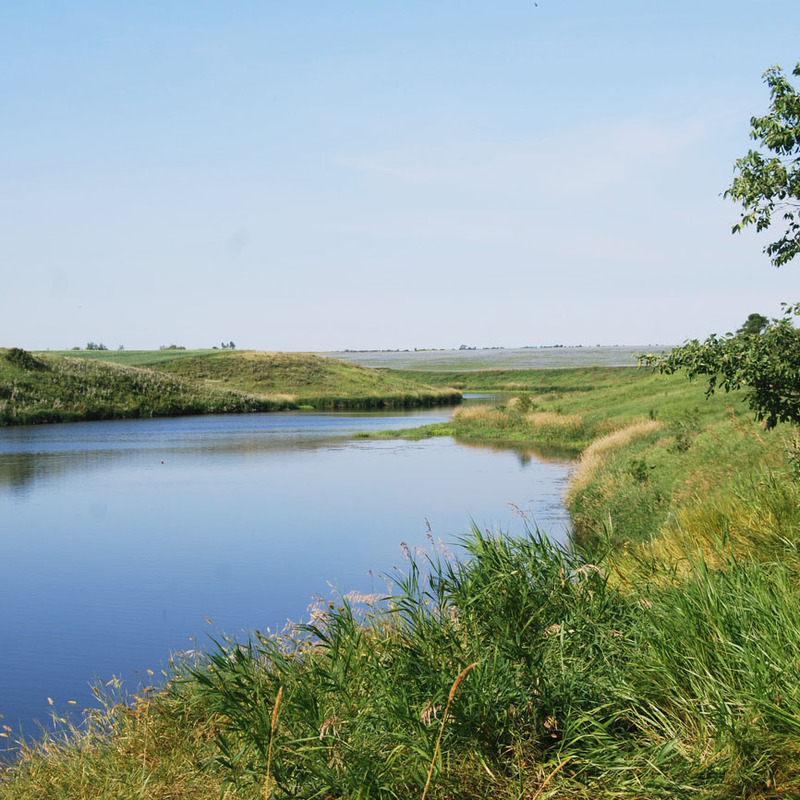 A self-guided motor tour of the Missouri Coteau (dating from the last ice age) is mapped out. It will take you to the Big Muddy via the Gap and Ceylon. Visit Ceylon, a typical small village with a colorful western history involving prohibition, rum-running, and bank robberies. Also visit the historic United Church and the Stone House made entirely out of Fieldstone. Campsites: Grass. Walkways/Trails: Level gravel. Activities: This park is located near the Town of Ceylon, which features many attractions and amenities. 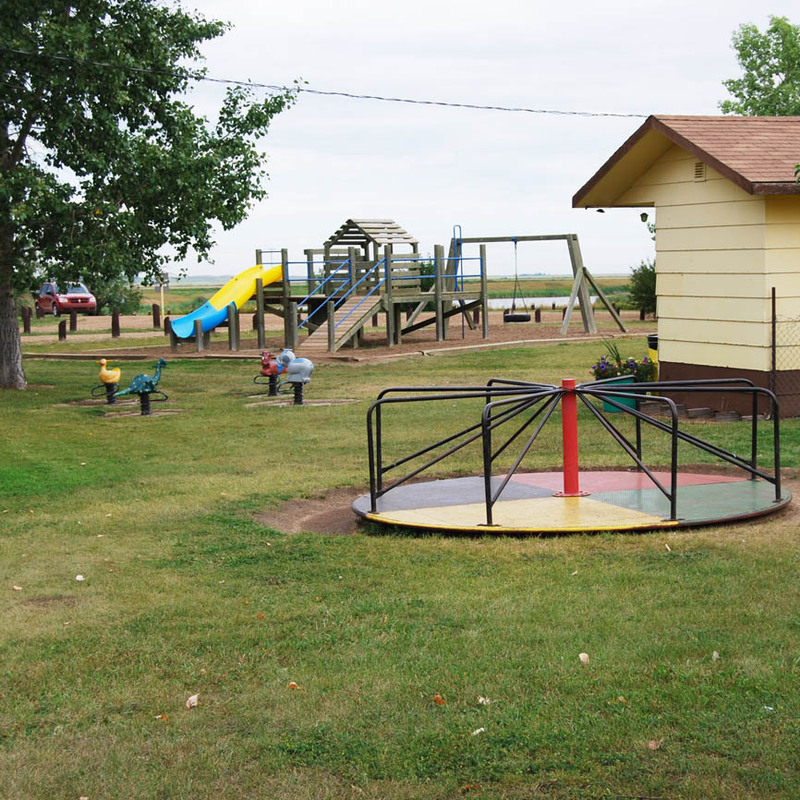 The park hosts a variety of site types 30 amp electrical to non-electrical sites complete with picnic tables, pole barbecues and access to central water taps. There are ample non-serviced sites available for pitching tents or just pulling in with a completely self contained camper or RV. The non-serviced sites are not equipped with tables or barbecues. Modern washrooms with flush toilets, shower house, trash bins and free firewood supply are located in a central area as well. The concession is a short distance from the camping area. All sites are leveled and drained naturally and have shade on one side by ash or poplar trees. The Gap Swimming Committee hosts a series of Red Cross Swimming lessons in the man-made pool. They are usually held the first two weeks of July and if there is a demand a second set is held in August. Certified lifeguards are on duty for supervision of the pool on a regular basis. The water is clean and the bottom is sandy. A line of buoys separates the shallow end, where there is a slide for small children. The park has two playground areas, one by the pool and the other by the concession. 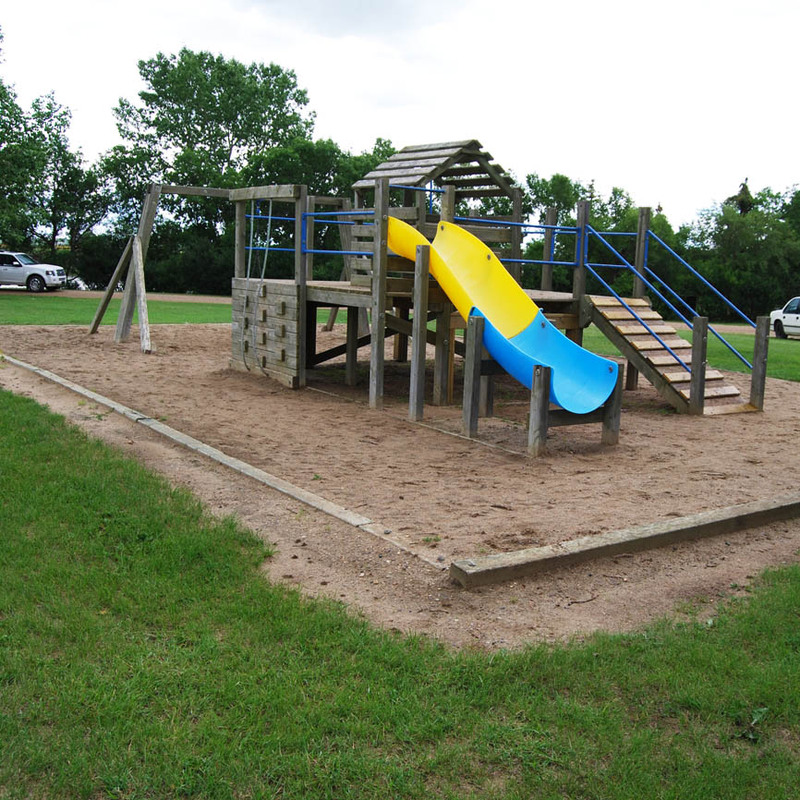 The playground area close to the concession is equipped with a wooden creative play centre and rocking horses on springs all enclosed in a huge sandbox. The beach playground is equipped with swings, climbers, slides and teeter totters all built into the sand on the pool front. Each location is built with the ease of child care in mind. 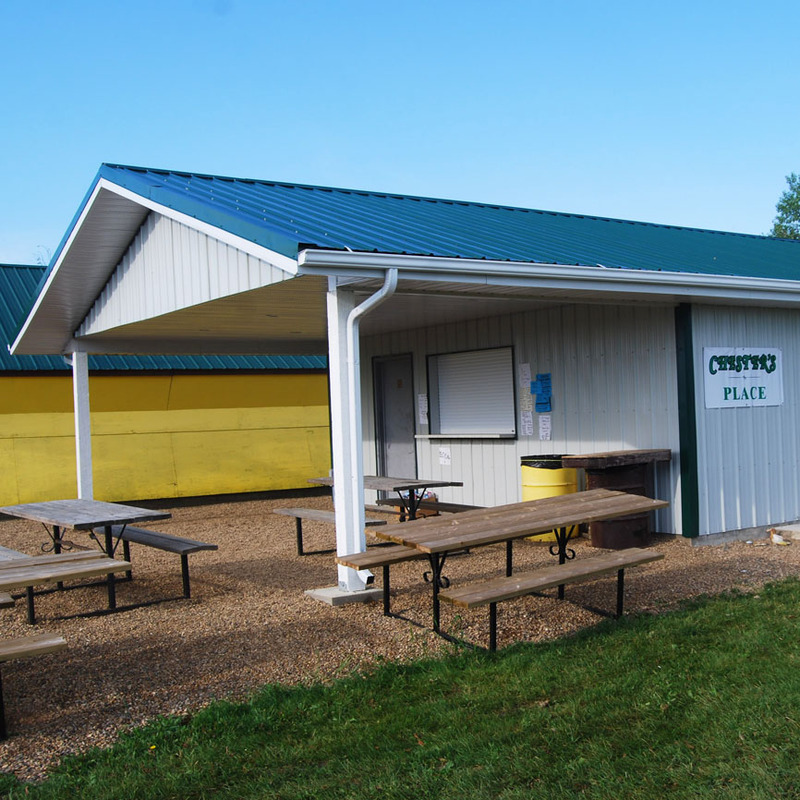 The on-site ball diamond has a tall mesh backstop and bleachers for spectators and is the home diamond for the Borderline Fastball League team Ceylon Angels. Ball games are held twice a week from mid June through the end of July. 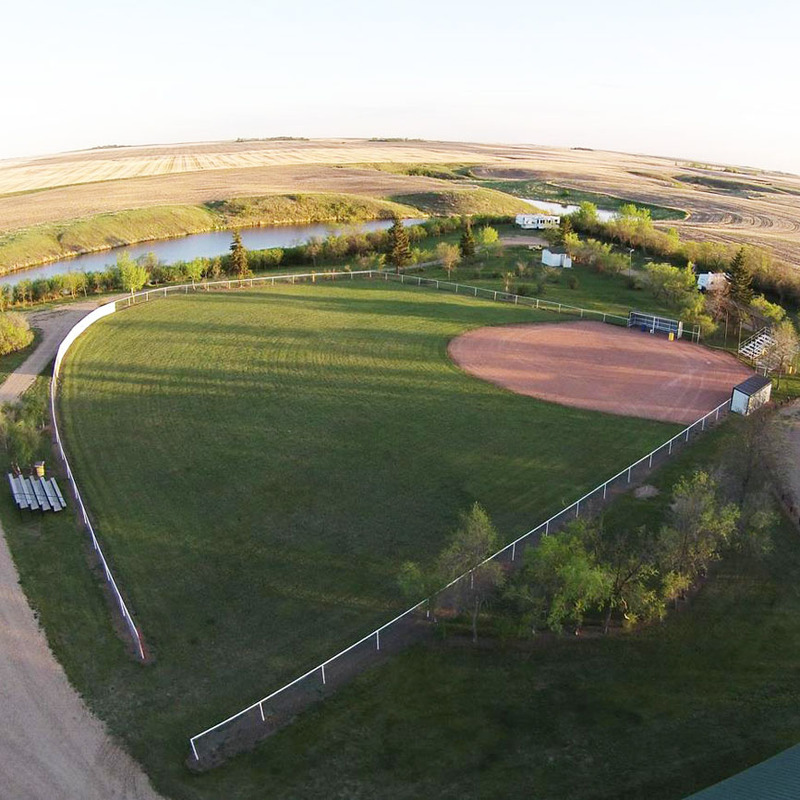 The ball diamond is available for use for any function if a scheduled game is not being held. 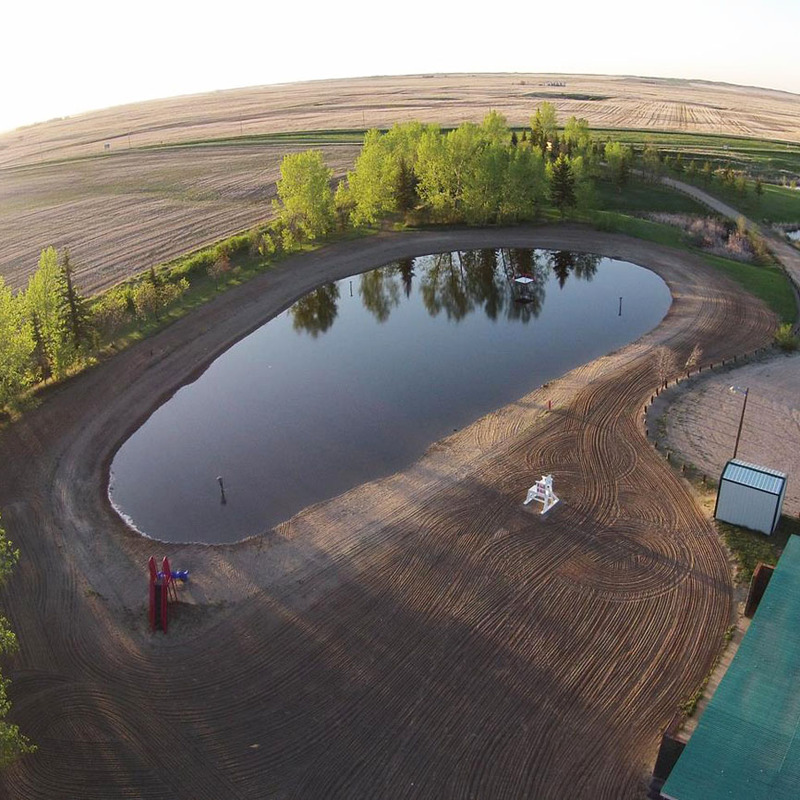 The reservoir has been stocked with perch and jackfish. A boat launch and floating docks have been installed for ease of unloading boats. You may fish from the shore, anywhere along the water or from the boat launch. A ice fish derby is held with the annual Family Fun Day. The water body is not large enough for large motor boats but nice for small fishing boats or sea-doos. The park does not have specific trails marked out but there is lots of open space for hiking, biking, walking or other outdoor sports. Reservations accepted by phone, please call (306) 869-8148.